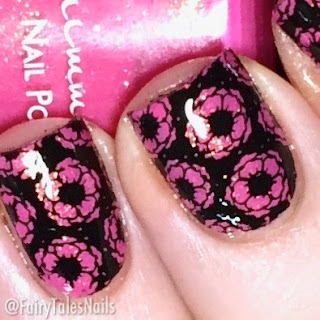 Another mani that was totally inspired by my amazing Nan's garden, there are so many gorgeous flowers out there and every summer it is just a stunning place to sit with the family. For the base of this mani I used this gorgeous KB Shimmer polish from the fall 2017 collab collection. 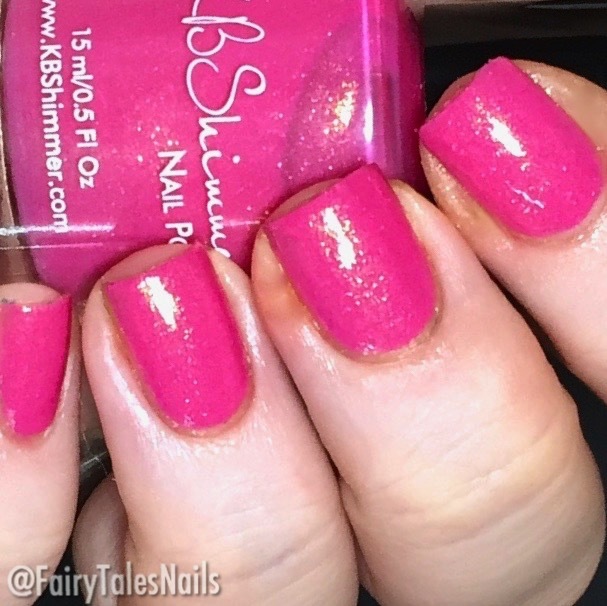 This is 'I Don't Want No Shrubs' a stunning bright pink creme with a strong gold shimmer. This took 2 coats to be opaque and was a lovely formula to apply. I really love a good negative image and this floral pattern from Lina Nail Art Supplies Totally Negative 02, this plate is fantastic to use when you want that base polish to be the star of the show. 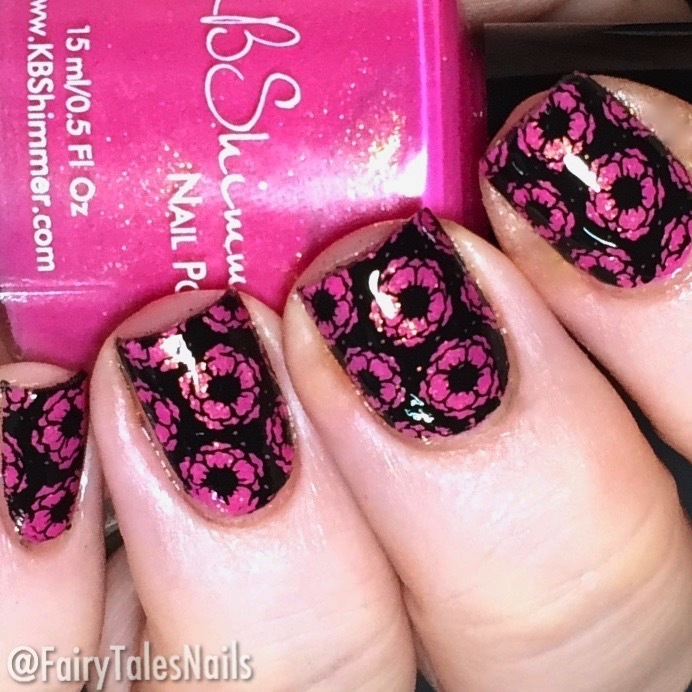 Its stamps beautifully and all of the intricate details pick up really nicely onto the stamper. I liked how this turned out but I am totally in love with that KB Shimmer polish, the formula is so nice to work with and that shimmer really translates beautifully to the nail. Everyone else's day 3 mani's will be linked down below, I can't wait to see what everyone has come up with. I hope you are enjoying this Digit-al Dozen week so far, see you back here again tomorrow for another in my garden mani.